Bad Dental Reviews? Here’s How to Respond. Negative dental reviews. They can happen to anyone. When they happen to you, do you know what to do? Do you just ignore it? It’s time to own up to your less-than-stellar dental reviews, and in this week’s Wednesday Wisdom, Bess shows you exactly what to do. 1) You’ve found a negative review? Now what? The important thing is not to freak out and be calm. Can you possibly settle the matter offline? 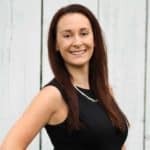 Bess shows you why this approach can be successful. 2) Tell them you want to resolve the matter, but don’t respond in a way that’s going to identify the patient and violate HIPAA regulations. 3) Can you guess what to do next? Believe it or not, Bess will tell you to ask for MORE reviews. Press play to find out why. Bess: 00:00 Hi, this is Bess Cincotta, and welcome to this week’s edition of Wednesday Wisdom. Today we’re going to be talking about how to respond to a negative review. Bess: 00:10 The first thing I want you to know is that you aren’t alone. The majority of the practices we work with have at least one negative review. Now what do you do when you get one of these reviews? I encourage my practices to reach out. If there’s any way for you to settle the matter offline, there’s a chance that the patient will either amend or delete the review, both of which are positive outcomes. Bess: 00:32 The second thing you need to do is respond. Remember, you are bound by HIPAA, so you are not allowed to say things that could identify who that patient is. Simply tell them that you would be happy to discuss the matter further and that you want to resolve the issue. Bess: 00:50 The last thing I would encourage you to do is to keep asking for reviews. If there are a hundred positive reviews out there and one or two negative ones, the voice of the crowd is going to win. 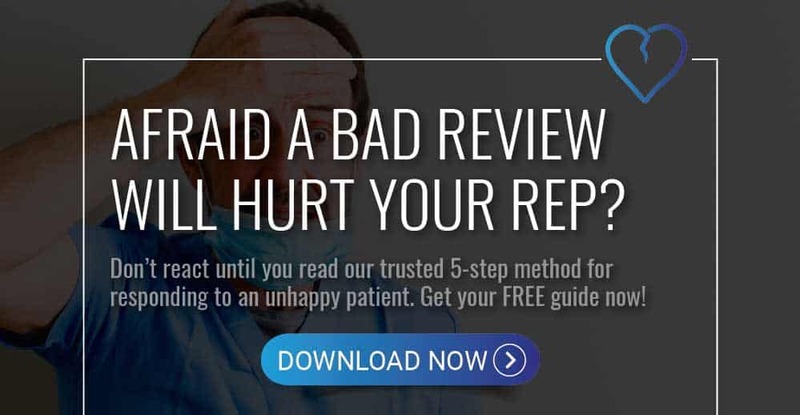 If you’re providing a great level of patient care, don’t feel bad about asking for those reviews. Bess: 01:08 Thank you for joining us for this week’s edition of Wednesday Wisdom. I hope that you’ll join us next week for another tip.